Mutant Mudds Deluxe is set to be coming to Playstation Plus this week for free. 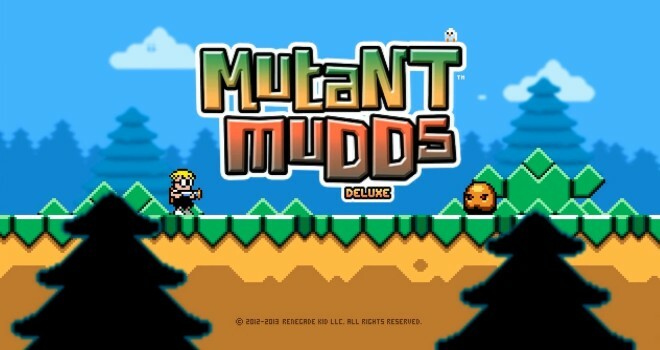 Mutant Mudds is a 2-D platformer that will be a part of the Playstation Plus North American Instant Game Collection. This will follow the store’s update tomorrow. PS Plus will be having new offers starting every Tuesday of each month. There will be two PS4, two PS3, and two PS Vita games available on the store for free. If this sounds like a good deal to you, then be sure to join PS Plus and get your free games. Be aware that Mutant Mudds Deluxe is only available on PS Plus for the Vita, however, it is a cross-buy game for PS3 as well. It is unknown if getting the Vita version will also allow the PS3 version to be played, but you’ll have to get the Vita version if you want the Plus deal.